A housewarming is a special time. It's when a couple moves in and makes the house into their home. These housewarming gifts put your special two cents in to make the moment even more unique. The question of what to get as a housewarming gift is always complicated but it doesn't have to be difficult. Stick to these top gift ideas for housewarmings and your gifts will always strike the right chords. 1. Barware is one of the top gifts because it is useful, special and reminds people of a celebration. It's also something people do not want to spend money on themselves, so its the perfect housewarming gift. 2. Wine gifts, wine boxes and wine tools are also fine gifts for the housewarming party. Try a personalized wood wine box, or a designer carbon fiber wine box for modern homes. Serving trays and platters are also special items that the true host and hostess will love. 3. 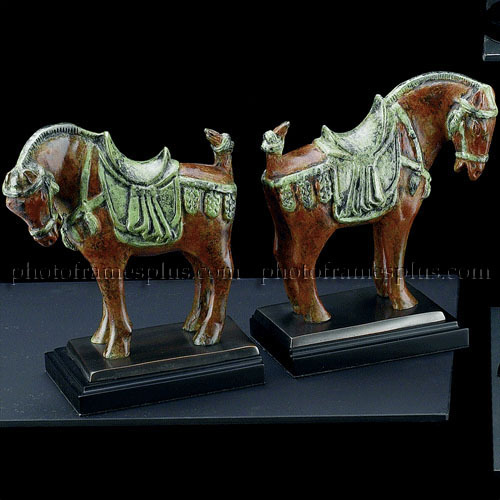 Bookends are a great item for new homes. They are useful just about anywhere. You will find many unique themes from animals to abstract art. 4. Outdoor items are another possibility. Though barbecue tools are a little too common, something like an outdoor bucket cooler, soft cooler or radio is unique and fun. 5. Picture frames are always welcome. You can never have enough of these. Though it might seem too common, new homeowners will need plenty of them. Buy really nice brass or silver frames and expect to pay around $25 for suitable items.